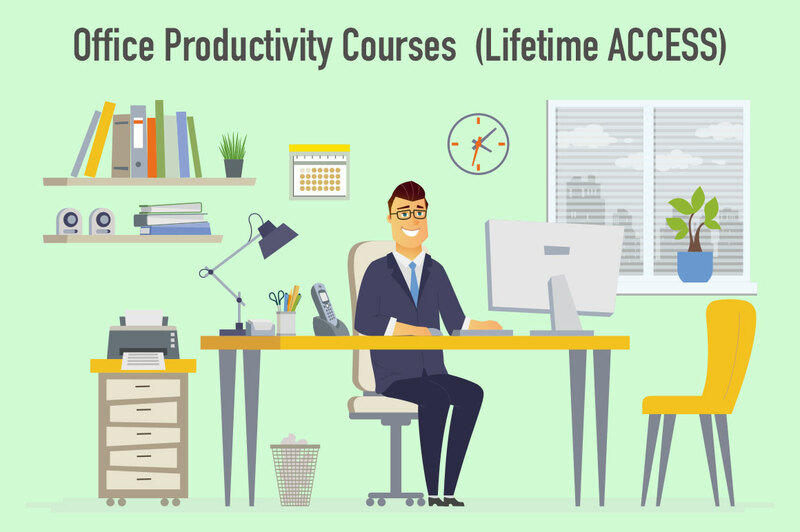 400+ high-quality and relevant video-based Courses and 15+ well designed Learning Paths on Excel, VBA, Macros, Accounting Software, Office 2010, Office 2016, PowerPoint, SharePoint, OutLook, Access, Dashboard Development, Pivot Tables, Data Analysis, Microsoft Project, Apple Keynote, Mac OS, Mac Basics, Mac Pages, Computer Skills, Microsoft Word and much more. Learn by doing. Verifiable Certificate of Completion for Courses. Full Lifetime Access. Over the years, EDUCBA has become the training standard for professional services firms, business professionals, and undergraduate and graduate students. Our extremely practical high-quality video library of courses serve professionals and students from all the leading global firms and top Institutes. In an average month, we train 10,000+ aspiring professionals and students for their future roles. Licensing:- Our licensing is unique it can’t be shared with anyone. Multiple users and passwords to the same license are not permitted. You may not share logins and passwords with others. Sharing login information is in violation of this agreement and may result in immediate account termination. Usage:- Once user register with us he/she will receive unique login id and password which they can use on EDUCBA website to access their portal. This login is valid for Lifetime. You can access it from any place, anytime 24*7. Updates details:- The courses are updated and if any courses needs to be update to this package it will automatically get added to your account.